Searching for Stars | IT'S HAPPENING IN HEELEY! 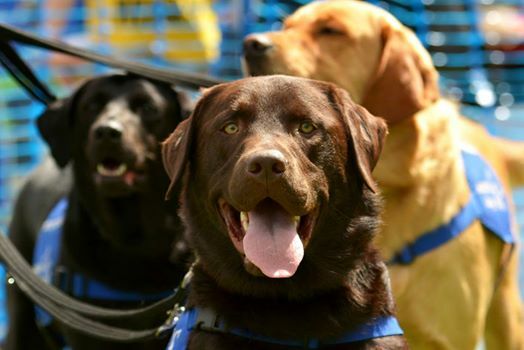 Charity Support Dogs are searching for stars in the South Yorkshire and Derbyshire area to help transform the lives of children and adults affected by autism, epilepsy and physical disabilities. Support Dogs, based in Sheffield, trains dogs to become specialist assistance dogs for adults and children with a range of disabilities. With reward based training these incredible dogs learn to help those in need by learning a range of skills such as loading and unloading a washing machines, opening and closing doors and fetching named items. The charity is the only registered organisation in the UK to train dogs to give a 15- 50 minute advanced warning of seizures to people with epilepsy. As Support Dogs do not have a breeding centre the charity recruits dogs from a number of sources. This includes rescue centres and pet dogs that need to be rehomed. Support Dogs are asking if anyone has or knows of a pet dog that needs to be rehomed and is within 2 hour drive from Sheffield, to consider Support Dogs, giving unwanted dogs a second chance and a loving home. They are currently looking for dogs aged between 10 months and 3 years, who are confident with people and other dogs. All dogs will be assessed by the charity and please note some breeds may not be suitable for our programme.